Alphabet Inc.’s (GOOGL.O) digital city on Toronto’s waterfront will be made out of wood, heated by geothermal wells and offer a swathe of affordable housing as it seeks to win over a skeptical public concerned about privacy issues at the development. 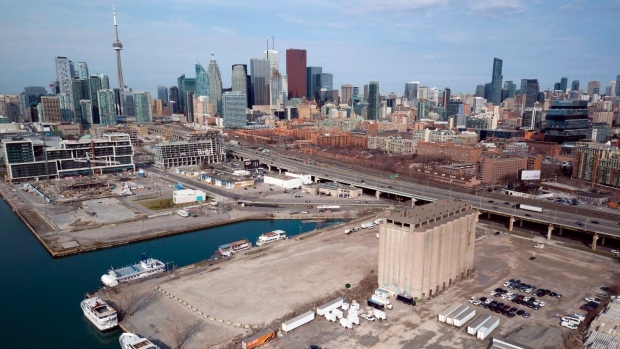 Sidewalk Labs LLC, the urban innovation unit of Google parent Alphabet says about 40 percent of the 2,500 residential units on the 4.9-hectare (12-acre) development dubbed “Quayside,” will be below-market housing, including 20 per cent affordable. Just over half will be purpose-built rental. “Toronto is effectively in a state of housing gridlock. People feel stuck where they are, they’re unable to get into the market, whether its owning homes or even just renting,” Jesse Shapins, director of public realm at Sidewalk, said in media briefing Thursday. "We’re making an unprecedented commitment here to below-market housing. Our approach here ensures a truly mixed-income community and we hope this can be a model for really tackling the housing challenges in Toronto today." Sidewalk’s proposal comes amid an immigration and economic boom in the city that’s sent rents soaring and driven the vacancy rate for condos rentals to 1.1 per cent and for purpose-built rentals to 0.5 per cent. At the same time, Sidewalk’s project has been entrenched in controversy over concerns about how data collected from smartphones, sensors and the like will be controlled and protected. Sidewalk didn’t release any further plans for data on Thursday. The company has proposed that an independent civic data trust be created to oversee the control of the information and advocated for an independent body to set privacy rules for the development. Energy in buildings will be managed by an AI-powered system that would result in 20 per cent less energy use while the project is targeting a 75 per cent to 85 per cent reduction in greenhouse gases with heat recovery and geothermal technology. More than 9,000 jobs will be created in the province as a result of the building construction process in Quayside, which will likely be home to 3,900 jobs with a focus on technology and urban innovation. The plans have yet to be approved by the project’s stakeholders, which includes Waterfront Toronto, the government organization overseeing the project, Alphabet Inc. and the City of Toronto. Sidewalk Labs will bring its proposals forward for approval next spring. Dan Doctoroff, the chief executive officer of Sidewalk Labs, was CEO of Bloomberg LP and deputy mayor of New York City under Michael Bloomberg, Bloomberg’s founder.